So here's the deal. I am the least creative person in the whole world. It's really quite sad. So instead of blowing my brain up I'm going to ask you to be creative for me. And of course, there will be a reward! You guys are going to get to name the new feature I want to add to my blog. And their name and blog/social networking site linked to at the top of every feature post! The winner will be chosen by me. And the best news, if I get over 30 entries I will randomly choose an entry and they will also win A FREE FALL/WINTER PRE-ORDER!! So send those entries in good, bad, or ugly. **The winner is not limited to these books. Any book published October-February is eligible. Teagan Wylltson’s life has always been a little strange. Whether her best friend, Abby, is rambling about goblin paintings coming alive or she is signing to a moody ape. Even her family is strange with her Irish mother and human-recorder brother who knows every lyric to every song and is terrified of Elvis impersonators. But when mysterious Finn comes to live with her family her strange never seemed so normal. Teagan is seeing shadows and creatures from the corner of her eye, that magically disappear when she focuses on them. Then she catches Finn leaving in the middle of the night saying he never should have come and brought them here. Teagan, unsure of what he’s talking about, lets him go. But when a terrible tragedy hits her family she begins to put the clues together and falls into the very world Finn tried to keep her from. The Good: This book was AH-MAY-ZING I loved every single second. The romance was steamy without being soppy and controlling the plot or even being a big focus. I don't know why this book didn't get more publicity because it was so good. At the beginning the characters just draw you in. They are hilarious and they continue to be throughout the whole story. I found myself smiling often and even laughing out loud a few times. Even the minor character, some with only a line or two, were memorable. Author found just small ways to make the book a bit odd or funny that really stood out as unique. Then once the action picks up it just keeps going and going. The Bad: The book was filled with stories of mythology and fantasy. These sometimes got to be a bit confusing with hard to pronounce names and lengthy paragraphs. For me when I come to a name I don't know or is hard to pronounce I just skim it. Well when there were multiple people with weird names it was hard to keep everything straight. The stories while were interesting were also distracting from the action though they were completely relevant. 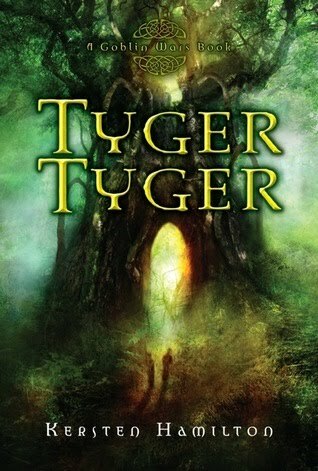 The Ugly Updates: Tyger, Tyger comes out November 15. Pre-order it from Amazon here. Hamilton has written many books, both picture and chapter, for children. Tyger, Tyger is her first and, currently, her only YA novel. As for a sequel there is no talk of one right now. The story left a few things open but also came to a pretty satisfying conclusion too, so it could really go either way. Check out Hamilton's "Unblog" with links to guest posts and interviews she has done and her site for more info on her an her books. She doesn't see dead people, but…She senses when someone near her is about to die. And when that happens, a force beyond her control compels her to scream bloody murder. Literally. The Good: Overall I enjoyed this book but I can’t sit here and rant and rave about it. Though, I can’t complain much either. Vincent’s world was very unique for the over-crowded paranormal genre. The romance is positively steamy, which I enjoyed immensely. Lately the books I’ve been reading have seemed to lack a little in that department. For being a shorter novel, it really took a stand. It was one of the best books under 300 pages that I’ve read in awhile. It really had a nice pace throughout the whole book that kept it going. I am looking forward to reading the sequels as well. The Bad: I don’t have any huge complaints about this one. It didn’t do anything to annoy me which is rare. But the book lacked pizazz or anything to really make it stand out. So if you have an opportunity to read this book take it, but don’t run off to the bookstore right now and get it. I need apologize again for the overall shortness and crapyness of this review. That's what happens when I wait to long to write the review. But I will be back in full, well-written reviews, swing next week. 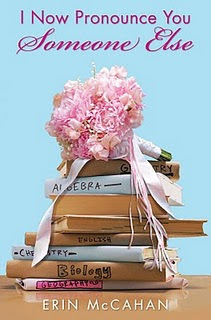 So don't lose faith and don't forget to enter my I Now Pronounce You Someone Else Giveaway!! So I have a confession to make. I am addicted to unpublished fiction. It's true and that is why I have been so absent lately. Instead of reading the published novels that have been on my TBR shelf forever, I am reading talented writers' unpublished fiction. So please feel free to throw tomatoes, water balloons, and such because I know I deserve it!! But on another note, now that I have admitted my addiction, I can now begin my road to recovery and go back to the world of published, bound books. So I will be back tomorrow with a review and will be back to regularly publishing. Fiction Press - This site is by the same creators of FanFiction.net. 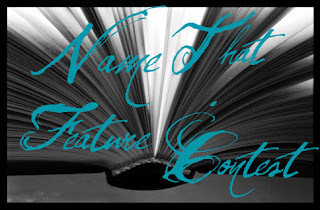 It has seperate sections for both Poetry and Fiction and is then sorted by Genre, Length, Language, Age Rating, and Status (complete or incomplete). It offers communities for writers to join together and discuss all things writing. Fiction Press also offers a section for betas, people who will help you edit your writing before posting it to the site. Fans can review, subscribe to you or your writing, or add you or your writing to their favs. Its a really large community that you should check out. Ink Pop - This is a community run by Harper Teen Publishing. It allows you to add/be added to "My Picks". Writings on the most pick lists have a higher rating. After a month (I think) the top 5 picks are read by the editorial board. How cool is that? You can sort you postings by Format (book, short story, memior, poem), Genre, and by Rating. The also offer chats with real authors and publishers, that can give you great advice on becoming a better writer and the process of getting published. There are also contests and a great community forum to talk with fellow writers and readers. This site also allows you to add your own "book cover" to your postings which is pretty cool. Founded in 2006, Wattpad's vision is to revolutionize the way we publish and read written works. Wattpad is now the world's most popular ebook community where readers and writers discover, share and connect, delivering billions of pages from our library, one of the world's largest collection of originally-created ebooks. Wattpad provides a powerful creative outlet and social media for undiscovered and published writers to share what they have written - a romance story, fan fiction, poetry or novel - and attract millions of readers. All the written works are easily discovered on Wattpad's website, mobile site or through the Wattpad application available on all mobile devices including Apple iPhone/iPad, Android, BlackBerry, Nokia, Samsung and more. "McCahan’s writing style was absolutely not what I was expecting – in a good way. It was sophisticated and not some teeny-bopper “let’s gush over Justin Beiber” crap. I think Bronwen’s age (17-18) had a lot to do with it as well. But I felt like it was something a high schooler or even college student would absolutely enjoy and relate with." Sounds awesome right? Well here is the best part... I'm giving away a copy of this amazing book! Winner will be posted on the blog by October 3rd, winner will be emailed and have 1 week to respond. Also I have something else that is equally wonderful. You can read the first chapter of INPYSE!! Bronwen Oliver was switched at birth. Well not really she just likes to think she was. It seems logical. She does not have her mother’s blonde hair or her love of ketchup. She doesn’t have a serious case of craziness like her extended family. She doesn’t even have the same teeth! So as almost-a-senior Bronwen tries to define herself and find a place to fit in, her life is completely changed over a simple cup of coffee. Bronwen meets Jared, a long lost friend of her brother’s and completely perfect in everyway. So she thinks. Jared finally gives her a place to belong, a family that accepts her for who she is and would never even think of handing her a ketchup bottle (she loathes the stuff). But as things start falling out of control Bronwen must decide if this is who she really is or if she is changing into a person people expect her to be. The Good: INPYSE was such a refreshing, welcome change to paranormal/fantasy. And Bronwen was so hilarious! I mean how can someone have such an aversion to ketchup? She really drove the book and made it keep with a good pace that you didn’t get bored in. McCahan’s writing style was absolutely not what I was expecting – in a good way. It was sophisticated and not some teeny-bopper “let’s gush over Justin Beiber” crap. I think Bronwen’s age (17-18) had a lot to do with it as well. But I felt like it was something a high schooler or even college student would absolutely enjoy and relate with. Jared is also the most romantic guy ever and the romance in this book is incredible! You have many heart-squeezing, all-tooth-smiles to look forward to. Overall this novel was funny and refreshing and a welcome change from the deep twisted world of paranormal. It even inspired me to vow to read more realistic fiction, which I’m hoping all of you will keep me accountable for. The Bad: As a very uncreative person, creativity really astounds and impresses me. I love when all the crazy details and twists all fit together to make a totally plausible story. Realistic fiction in general, I feel, lacks creativity. And I know I’m not being fair when I compare INPYSE to big paranormal titles like Twilight and The Mortal Instruments series but something about all the attention to little details impresses me. So this is probably why I prefer the supernatural genre to the realistic fiction. That said, this book brought a well needed kick to my behind telling me to wake up and smell the….realistic fiction? Anyway the only complaint I had with this book was the issue Bronwen has to deal with (sorry for the vagueness, trying to keep it spoiler free) was a little hard to relate with. I think we all deal with trying to define ourselves but not all of us have a situation that is forcing us to change. The Ugly Updates: This is Erin McCahan's debut novel. It is available for purchase. Check out McCahan's website, blog, and facebook. 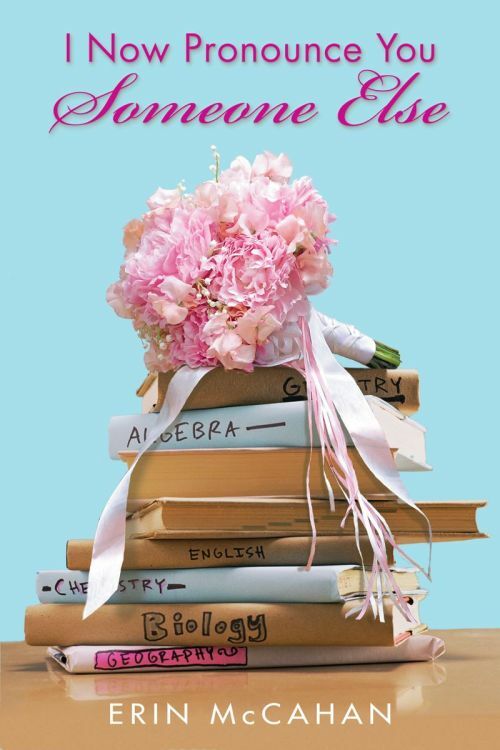 On September 16, a week from today, I will be part of Erin McCahan's blog tour! So please check back for either a guest post or interview and a chance to win a copy of I Now Pronounce You Someone Else! Tessa, a young lady traveling to Victorian England, has no one left. Her parents both died when she was young. Her aunt just recently passed away and her brother, Nate, has been in London, working and has just sent her a ticket to meet him. But when Tessa arrives things are not how they should be. Her brother is not there to meet her. Instead two strange ladies meet her insisting her brother sent them, but Tessa is wary. With good reason too. The Dark Sisters are holding her against her will, threatening to harm her brother if she disobeys them and also forcing her to confront a power deep within. After six weeks of strange, monotone servants and dark musty basements, a mysterious stranger appears in her room claiming to be her to rescue her, but it seems much too like her romance novels to be concrete. 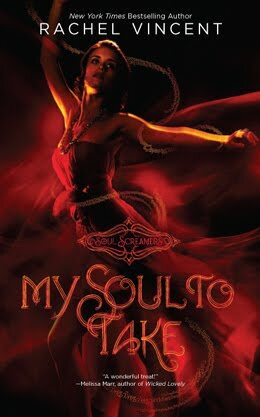 Tessa is thrust into a world of Shadowhunters, demons, and fighting, betrayal, regret and self-discovery. She must learn to cope with her new found power in order to save her brother from enemies she’s only heard about in nightmares. The Good: Clare’s writing is just beautiful. It is so sophisticated and a pleasure to read. I think she could make gibberish readable. Tessa was also such a strong heroine, which I love. She had an appropriate amount of sadness and despair without being whiney and annoying. She really drove the book. Will is so much like Jace. They really could be twins in personality. He’s cocky, arrogant, and aloof. But he provides a dynamic that is funny and angering at the same time. I really loved the setting of this novel, which is not something you hear very often. But it was so interesting to learn about and I really love this time period. I sometimes wish I could go back in time to that period and go to balls and dinner parties and have to ride in carriages. So naturally reading about all of this stuff made my day. I had very high expectations of this book. Lately I have been comparing books to The Mortal Instruments and how perfectly all the details fit together and how really great books are kind of average compared to The Mortal Instruments. So I am really sorry to say that I was not impressed with Clockwork Angel. The Bad: First, Clare’s descriptions are wonderful but at times they are just too long. They drag on and I sometimes felt myself drifting away from the story because of them. There were also many similarities to The Mortal Instruments, which left me kind of upset. I was really expecting sometime very different from the other series. It was also predictable, unfortunately. Overall, I really wanted to adore this book but I was disappointingly disappointed. 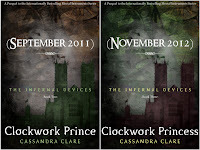 And just for the record I will be reading Clockwork Prince & Princess. I love Clare too much not too! Ugly Updates: Clare has written The Mortal Instruments series including; City of Bones, City of Ashes, & City of Glass. Also recently announced there will be The Mortal Instruments Cycle 2 including; City of Fallen Angels, City of Lost Souls, & City of Heavenly Fire. Set to be released April 5 2011, May 2012, & September 2013 respectively. 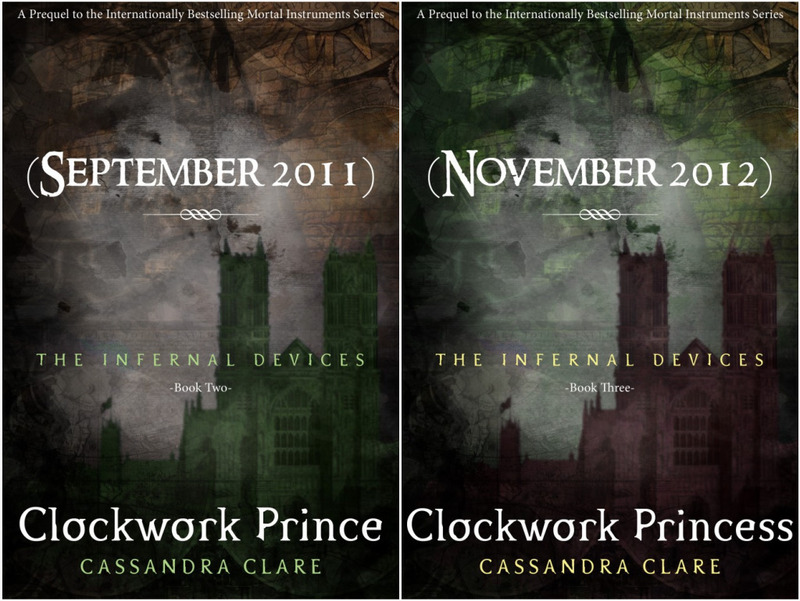 Clockwork Prince, book 2 in the Infernal Devices trilogy, is set to be published September 2011 and Clockwork Princess, November 2012. Check out Clare's Website, Facebook, Twitter, & Google Groups (One & Two). 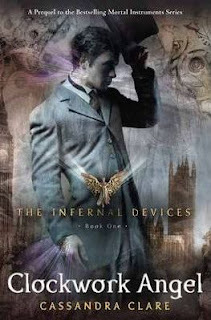 I use the google group it is a good way to get up to date info on the books and discuss all things Mortal Instruments as well as other book/movie/music related things. Subscribe the first if you want just important notices from Clare. Join the second if you want to hear what everyone is talking about. Clare is also very good about getting back to questions you post on her Twitter so ask away. Also for the countdown to all the books listed above check out the amazing widget at the very bottom of my blog.